CYPRESS, TX (KTRK) -- Christ United Church of Cypress suffered extensive damage in the flooding last week. "In this historic flood we were inundated and the entire inside has been destroyed," said Reverend Jeffrey Willey of Christ United Church of Cypress. In fact, the small, 88-year-old church that sits on the corner of Telge and Huffmeister, sustained $250,000 in damages. The inside was ripped out and it's shell of what it once was. But that damage didn't stop Christ United Church of Cypress from worshipping on Sunday. People brought out their law chairs and Reverend Willey took the pulpit to the parking lot. A Cypress congregation works to rebuild after their historic church suffered devastating flood damage. "Just people bringing things, lawn chairs, the sound system a little portable keyboard from home," said Rev. Willey. Dozens filled the church parking lot on Sunday morning, some visitors to the church for the first time. 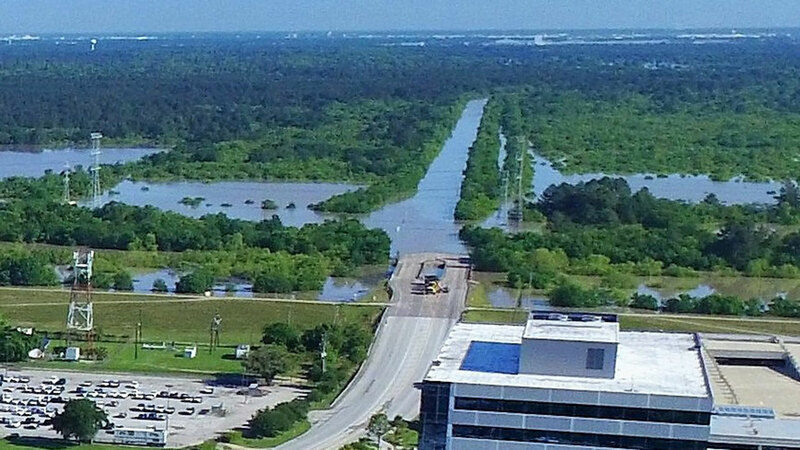 Looking back at the flooding across the Houston area, and how you all stepped up to help your neighbors in need. As they celebrated Sunday service, they were reminded about what really makes the church. Rev. Willey said it's not the building, it's the people. So whether it's inside or outside, it's not where you worship but why. "We're going to worship. We're going to praise this marvelous God who has seen us through," said Rev. Willey. If you would like to help the church, go to their GoFundMe page. What to do after a flood with FEMA assistance, Natasha Barrett reports.